History has been created by people who explore new horizons, and modern history is created by the adventurous few who travel the world, exploring new horizons either for trade, work, leisure or thrill. And there are a few iconic institutions that have provided the adventurous bunch with a resting place in their travels, a moment to pause - these heritage hotels that have helped shape history, in many more ways than we can imagine. I have been privileged to visit a few of them. Top on my list is the iconic Taj Mahal Hotel in Mumbai, followed by the Raffles in Singapore, the Eastern & Oriental in Penang and the Raffles in Siem Reap. Aggie Grey's first opened its doors in 1933 by the banks of the Vaisigano River. The property was developed by a Samoan woman entrepreneur, Aggie Grey, whose passion for hospitality was legendary in the South Pacific. The hotel became a popular hangout for American servicemen stationed in Samoa during the Second World War. 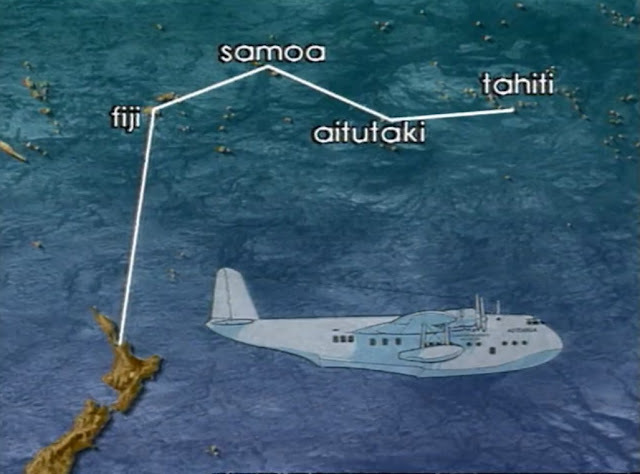 (The Coral Route) became the only air route into Tahiti, with Americans and others from Northern Hemisphere flying by land planes into Nadi in Fiji, making the short hop across to Suva to join the flying boat at Laucala Bay, for its fortnighly flight along the Coral Route, leaving on a Thursday morning for Samoa, alighting on the Satapuala lagoon about 2 p.m. Passengers were driven by cab through Samoan coastal villages to Apia, where they enjoyed respite and dinner at Aggie Grey's hotel until 2 a.m. when they were driven back out to Satapuala for a pre-dawn take-off to the Akaiami lagoon at Aitutaki where they went ashore for breakfast and an optional swim until mid-morning takeoff for Papeete, timed to ensure that arrival was after the end of the siesta period at 2 p.m. After launching ashore and completing Customs, passengers had to wait a further hour while their luggage was sprayed against horticultural pests, a time usually spent by the majority across the road from the Customshouse at Quinn's Bar. In all, a 30-hour leisurely introduction to life in the South Seas which made the Coral Route a legendary travel experience. Over the years, as the repute of the hotel grew, it has hosted many celebrities, including Hollywood stars like Marlon Brando, Gary Cooper and Chery Ladd. Aggie Grey's also hosted the production crew of the 1953 Hollywood film, the Return to Paradise starring Gary Cooper. Aggie Grey's was reputed to have the best siva dances in Samoa. The siva at Aggies usually lasted until about one in the morning. And the dances became quite enthusiastic after whiskeys and Australian beer went into a free flow. Aggie Grey's hospitality became so special and she forged a close personal link with the management the top brass and crews of TEAL. And when Aggie turned 80 in 1977, the airline sent her a special dispatch of 80 red roses!